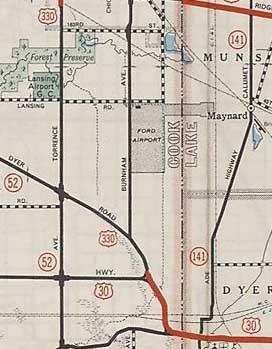 US 330 was among the original 1926 routes. 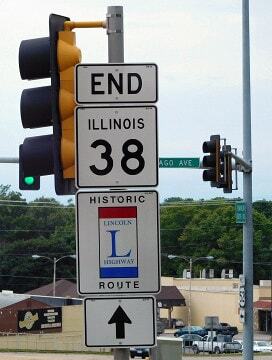 For its first seven years, its east end was in downtown Chicago. 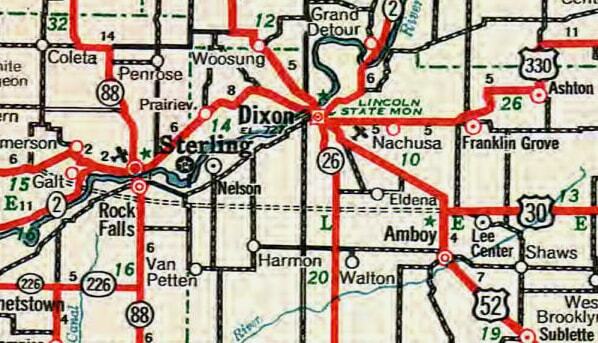 During that time, its east terminus was first in Geneva, and then in West Dundee (both endpoints are discussed in detail on the Fox River Valley page). ...but that lasted for only a few years. 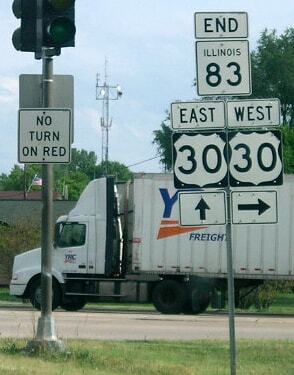 Until recently, a left turn there put drivers on the west beginning of IL hwy. 2. 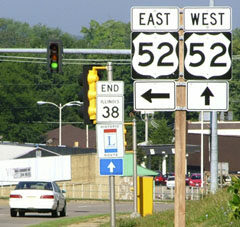 But in the early 1940s, that was the west beginning of US 330. 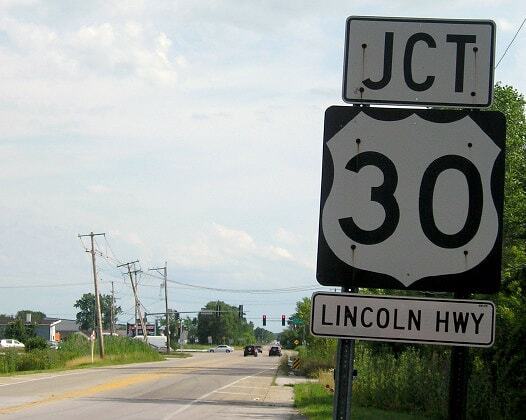 However, that lasted only a year or two, until the US 330 designation was decommissioned, and instead re-signed as Alternate US 30.
last updated Sep. 13, 2017.